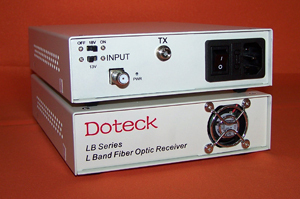 Doteck LB series L-Band fiber optic transmission is working under the bandwidth of 950~2150MHz, which could convert all L-Band analogue or digital satellite signal (SAT-IF) got by LNB to optical signal, and transmit by fiber optic full transparently, high quality and long distance. 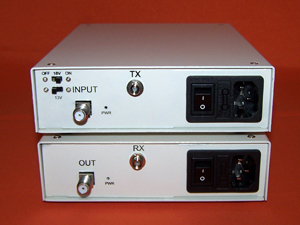 It is also used in fiber optic assignment in satellite building and satellite L-Band Up/Down link. Custom design requirement, please contact Doteck.